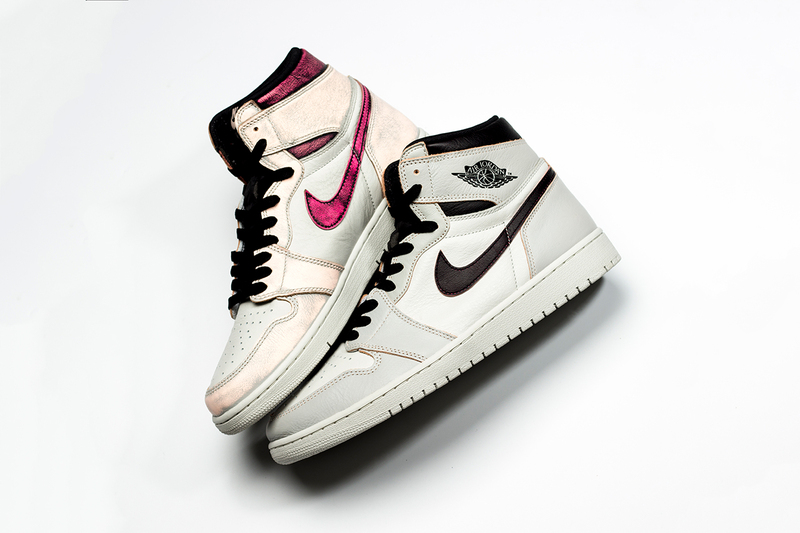 Also similar to the previous pair, the Light Bone will distress to a colorway loosely reminiscent of the Chicago — the Light Bone will shift to a more subdued red/pink while the black will change to a sparkling red/violet. Black laces, white outsole and supple leather toebox/side panels round out the unaltered parts. The result is far less dramatic to yesterday’s preview, but a sneaker with a story nevertheless.